Home State by State News Conservative…but gaining momentum…. When Dr. Donald Hill, a Western Pinal County-based oncologist, first heard of Proposition 203 — the 2010 ballot question that eventually legalized the use of medical marijuana in Arizona — he was opposed to the measure, despite having seen positive benefits the drug has on cancer patients. When he learned more about the measure and that the state would place strict controls over the drug, he became a proponent of the cause and now hopes to open one of the first medical marijuana dispensaries in Casa Grande. On Thursday, the Arizona Department of Health Services began accepting certification applications from patients seeking to use medical marijuana. Patients with allowable conditions, including cancer, glaucoma, HIV, AIDS, hepatitis C, amyotrophic lateral sclerosis, Crohn’s disease, agitation of Alzheimer’s disease, a chronic or debilitating disease or medical condition that causes cachexia or wasting syndrome, severe and chronic pain, severe nausea, seizures or other debilitating medical conditions may qualify for state approval to use medical marijuana. But not all in the medical profession are onboard with writing certifications for their patients, even if those patients have an approved medical condition. Because marijuana is still classified as an illegal drug by the federal government, doctors at Sun Life Family Health Centers – which has locations in Maricopa, Casa Grande, and four other Pinal cities – will be among the area physicians who will not write medical marijuana certifications for their patients, said Dr. Robert Babyar, medical director of Sun Life. “I support our organization’s position that marijuana is labeled by the federal government as an illegal drug and there is a potential for inappropriate requests for and use of the drug,” Babyar said. As a federally recognized health center, Sun Life is prohibited by federal law to prescribe medical marijuana — or any illegal drug — to patients. Babyar said that so far, no Sun Life patients have asked about obtaining medical marijuana certification, although some patients might qualify. The anti-nausea medication Marinol, which uses an artificial THC component as the active ingredient, is a legal drug that Sun Life providers could write a prescription for in some cases, Babyar said. Doctors who write certifications for medical marijuana will not need a special license from the state, but they will need to be licensed with their respective medical boards, said Will Humble, director of the Arizona Department of Health Services. “The law allows for four types of physicians to write certifications for patients to use medical marijuana — allopathic (medical doctor), osteopathic, homeopathic or naturopathic,” Humble said. Qualifying patients whose doctors will not or cannot write certifications for medical marijuana will find no help from state officials in finding a willing doctor. Hill said that he respects the opinions of doctors who will not or cannot write certifications for medical marijuana. He said he too had doubts about the drug’s benefits when in 2006 he signed on to a four-year study testing the effects of the marijuana on cancer patients. “I thought it would be all smoke and mirrors, but I saw the benefit medical marijuana had on patients,” he said. Medical marijuana is effective in easing pain, nausea and anxiety and Hill believes that about one-third of cancer patients use the drug illicitly to ease the effects of cancer treatment. Because cannabinoid receptors, like opioid receptors, are found naturally in the human body and are activated when the plant is consumed, Hill believes that humans evolved along with the cannabis plant. “In all likelihood, humans have been using cannabis for thousands of years,” he said. But he does not advocate allowing patients to smoke the drug. Instead, he advocates dispensing the medication in edible form, where medical marijuana is infused into foods like baked goods or butter. State oversight of physicians, dispensaries and cultivators will help prevent abuse, he said. “Everything will be monitored by the state, from the ground to harvest, with inventory checks to make sure that medical marijuana doesn’t end up in some teen’s lunch box,” Hill said. While the state has begun accepting certification applications from patients, those who receive approval to use medical marijuana will wait several months until the ADHS approves dispensaries and cultivators. State health officials will begin accepting applications from potential dispensaries and cultivators June 1. Applications will be accepted throughout the month and will take about six weeks to evaluate. Dispensary certificates will be awarded in August and the first facilities should open soon after. “Some potential dispensary owners are already working with local jurisdictions for zoning,” said Laura Oxley, communications director for the Arizona Department of Health Services. Pinal County is likely to become home to at least four dispensaries — one in each of the state’s Community Health Analysis Areas, which in Pinal County are Florence, Casa Grande, Coolidge and Superior/Kearny. Approved patients who do not live within 25 miles of a dispensary will be permitted to grow up to 12 plants of their own marijuana in an enclosed, locked facility. Some think that for that reason, locating dispensaries near population centers will better control the drug and prevent abuse. “It is better to have dispensaries with oversight and control than having people growing their own,” said C. Alton Bruce, director of Growth Management for the city of Coolidge. Like many other communities, Coolidge has amended zoning rules to better regulate where dispensaries and cultivators are able to operate. In both Casa Grande and Coolidge, medical marijuana facilities — whether they are dispensaries, cultivators or infusers — will be required to obtain a conditional use permit and are allowed only in certain, approved commercial zones. Bruce said that while he has fielded several inquiries from potential medical marijuana organizations, only one application for a conditional use permit for a dispensary has been submitted to Coolidge officials. He was expecting one cultivator to also submit an application for a conditional use permit. The Casa Grande Planning and Development Department is reviewing four applications for medical marijuana dispensaries, according to Paul Tice, department director. Each application proposes locating near Casa Grande Regional Medical Center within the city’s Medical Marijuana Overlay Zone. 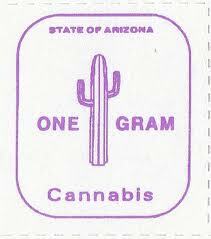 No permit applications have been submitted for cultivation or infusion facilities within Casa Grande, he said. In February, Pinal County supervisors approved amendments to planning and zoning rules that require dispensaries, off-site cultivation locations and food-infusion operations to obtain a special use permit to operate. By last week, no applications for special use permits had been received by county officials, said Heather Murphy, communications director for Pinal County. But three concept reviews — a first step in applying for a permit — had been received for two dispensaries and one cultivation facility in unspecified parts of Pinal County, Murphy said. Previous articleWho can take this seriously? With Taxes on cannabis these states can make money and rejuvenate there states. We all know RI needs to get something to bring in some extra money too. All states COULD benefit from putting Taxes on Cannabis,but most wont entertain the idea.